Robotics There are 29 products. 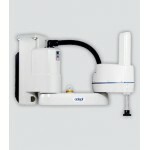 Omron Adept Cibrra i600 SCARA robot. Please contact the More Control sales team to obtain a price for this product. Our email is sales@more-control.com or call 0345 00 00 400. 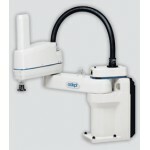 The OMRON Adept Cobra i800 SCARA robot is an affordable, high-performance SCARA robot. Payload max: 5.5 kg. Reach 800 mm. Please contact the More Control sales team to obtain a price for this product. Our email is sales@more-control.com or call 0345 00 00 400. 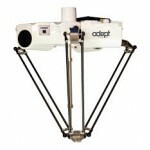 The Omron Adept Cobra s350 SCARA robot (4-axis robot) is a high-performance SCARA robot system. Payload max: 5 kg. Reach 350 mm. Please contact the More Control sales team to obtain a price for this product. Our email is sales@more-control.com or call 0345 00 00 400. 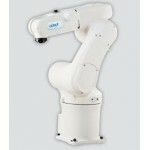 The OMRON Adept Cobra s600 SCARA robot (4-axis robot) is a high-performance SCARA robot system. Payload max: 5.5 kg. Reach 600 mm. Please contact the More Control sales team to obtain a price for this product. Our email is sales@more-control.com or call 0345 00 00 400. The OMRON Adept Cobra s800 Inverted SCARA robot. Payload max: 5.5 kg. Reach 800 mm. Please contact the More Control sales team to obtain a price for this product. Our email is sales@more-control.com or call 0345 00 00 400. 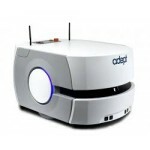 The OMRON Adept Cobra s800 SCARA robot (4-axis robot) is a high-performance SCARA robot. Payload max: 5.5 kg. Reach 800 mm. Please contact the More Control sales team to obtain a price for this product. Our email is sales@more-control.com or call 0345 00 00 400. MOTOMAN SIA 7-axis single-arm robot is perfect for automated processes such as assembly, inspection, machine tending and material handling. SDA10F payload max: 10 kg. Reach: 845 mm. MOTOMAN SIA 7-axis single-arm robot is perfect for automated processes such as assembly, inspection, machine tending and material handling. SIA5F payload max: 5 kg. Reach: 559 mm. 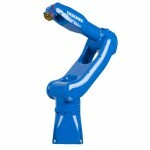 MOTOMAN SDA models are slim and agile 15-axis dual-arm robots with "human-like" flexibility of movement and fast acceleration. 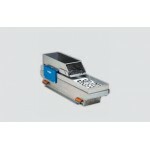 The CSDA10F model is designed for clean room use. CSDA10F payload max: 20 kg. Reach: 720 mm. 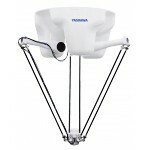 MOTOMAN GP12 is a high speed handling robot with easy set-up and maintenance. GP12 payload max: 12 kg. Reach: 1440 mm. 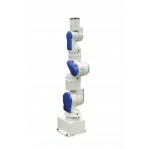 MOTOMAN GP7 is a high speed handling robot with easy set-up and maintenance. GP7 payload max: 7 kg. Reach: 927 mm. MOTOMAN GP8 is a high speed handling robot with easy set-up and maintenance. GP7 payload max: 8 kg. Reach: 727 mm. MOTOMAN MPP 4-axis high-speed robot with a parallel kinematic system combines the speed of the Delta design and large working envelope. MPP3H payload max: 3 kg. Reach: 1300 mm. MOTOMAN MPP 4-axis high-speed robot with a parallel kinematic system combines the speed of the Delta design and large working envelope. MPP3S payload max: 3 kg. Reach: 800 mm. 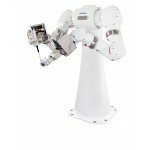 MOTOMAN MYS is a high-speed 4-axis SCARA robot. MYS450F payload max: 6 kg. Reach: 450 mm. 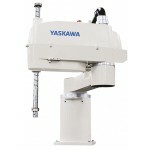 MOTOMAN MYS is a high-speed 4-axis SCARA robot. MYS650LF payload max: 6 kg. Reach: 650 mm. MOTOMAN MYS is a high-speed 4-axis SCARA robot. MYS850LF payload max: 10 kg. Reach: 850 mm. MOTOMAN SDA models are slim and agile 15-axis dual-arm robots with "human-like" flexibility of movement and fast acceleration. SDA10F payload max: 20 kg. Reach: 720 mm. MOTOMAN SDA models are slim and agile 15-axis dual-arm robots with "human-like" flexibility of movement and fast acceleration. SDA20F payload max: 40 kg. Reach 1,323 mm. MOTOMAN SDA models are slim and agile 15-axis dual-arm robots with "human-like" flexibility of movement and fast acceleration. SDA5F payload max: 10 kg. Reach: 845 mm. MOTOMAN SIA 7-axis single-arm robot is perfect for automated processes such as assembly, inspection, machine tending and material handling. SDA20F payload max: 20 kg. Reach: 910mm. 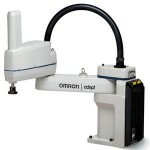 The OMRON Adept Viper s1300 six-axis robot. Payload max: 10 kg. Reach: 1298 mm.Please contact the More Control sales team to obtain a price for this product. Our email is sales@more-control.com or call 0345 00 00 400.